No, that’s not a giant bowl of cheesy potatoes. Yes, that is delicious, warm, melty cheddar cheese on top of a low calorie dish. No, you’re not dreaming. I love making cauliflower dishes that make me feel like I’m gorging myself on potatoes. Mostly because I’m in a constant state of wanting to gorge myself on potatoes….BUT I’m also in the middle of the 12 Week Weight Loss Challenge so I gotta keep eating healthy! Disclaimer: This post contains Amazon affiliate links, meaning I will get a small portion of any sales that result from readers clicking my links. This is of no cost to you but is greatly appreciated by me! Thank you! And thank you for trying these products that I love! I’m not gonna lie, cauliflower is not my favorite vegetable. Not even top five. But I do love how versatile and filling it is! You really can add any flavors to it to create new, unique, low calorie dishes, and yet you still feel guilty like you’re eating a mound of potatoes! into a large pot and filling with water until it just barely reaches the bottom of the basket. Bring the water to a boil. Meanwhile, cut a head of cauliflower into small florets. 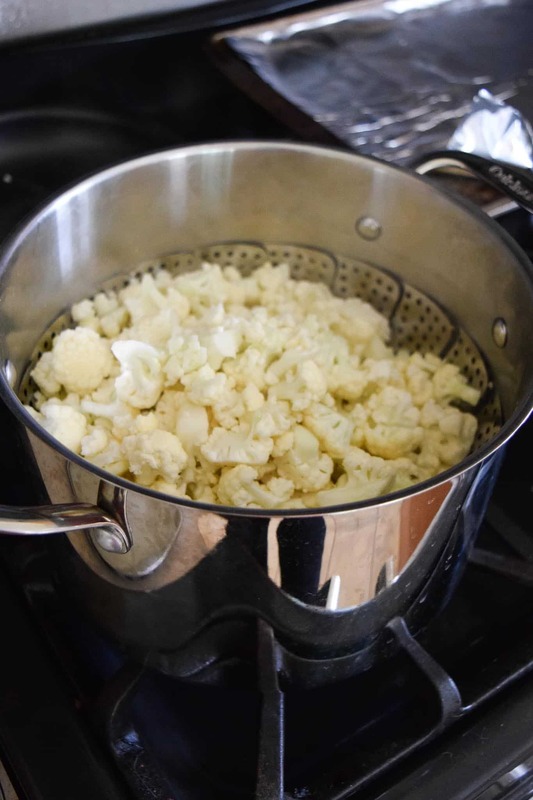 Once the water is boiling, add the cauliflower and cover. Allow to steam until tender, about 15 minutes. Preheat oven to 350 degrees. 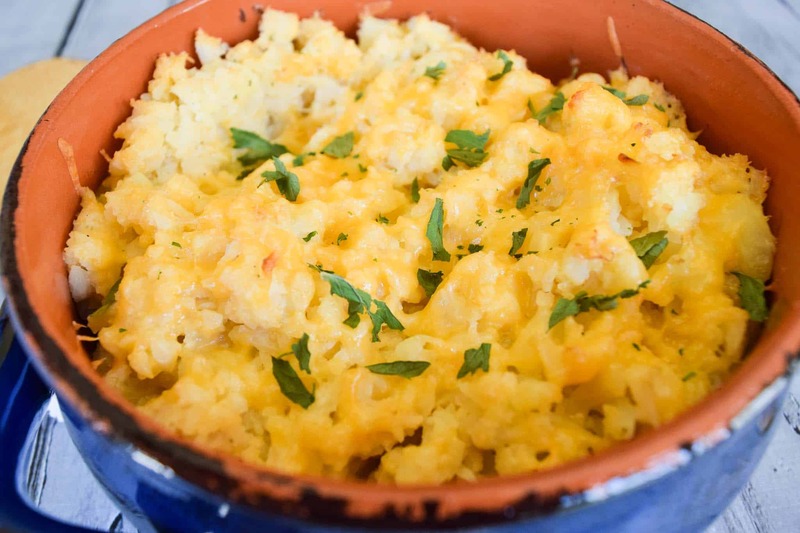 Once the cauliflower is steamed, mash with a potato masher and strain out any excess liquid. Add in 1/2 C sour cream, 1/2 C shredded cheddar cheese, 1 tsp Hidden Valley dry ranch salad dressing mix, 1/2 tsp garlic powder and 1/2 tsp onion powder and mix well. 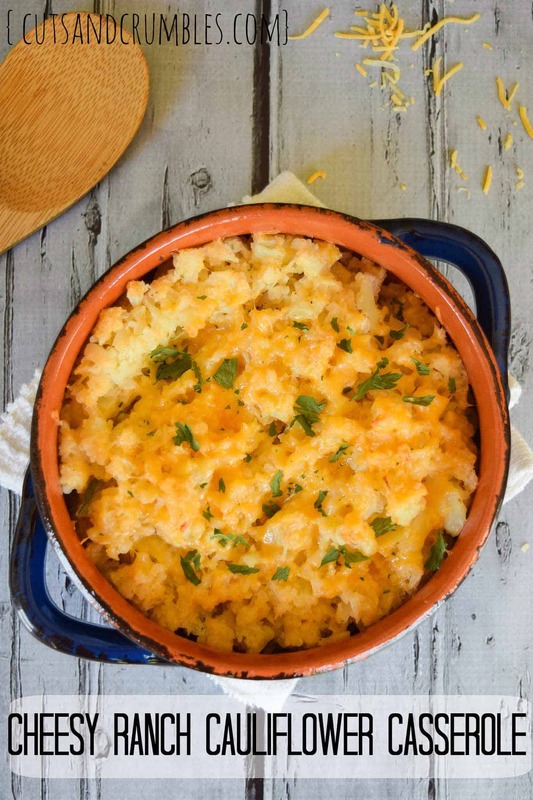 Pour into an oven safe dish and top with 1 Tbsp of butter cut into small pieces and remaining 1/4 C of cheddar cheese. Bake for 30-45 minutes, or until bubbling. Garnish with parsley. 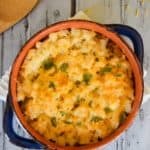 Looking for more cauliflower dishes? Here are some more! 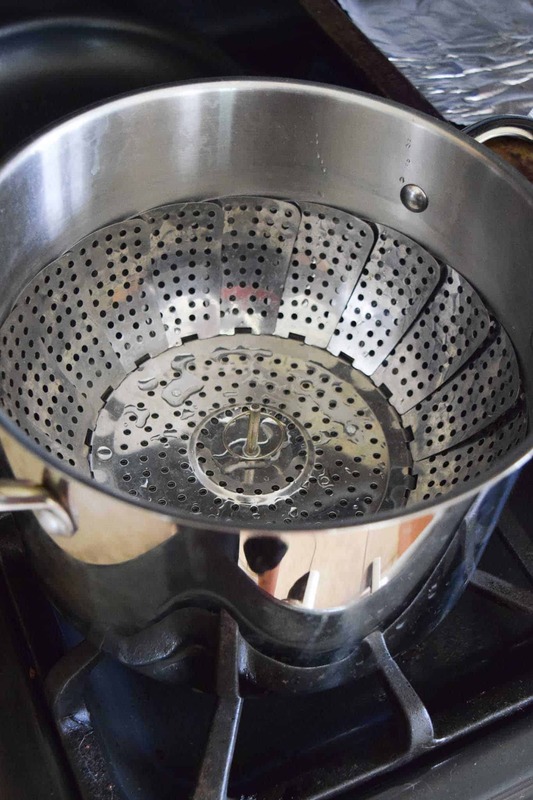 Place a vegetable steamer basket into a large pot and fill with water until it barely reaches the bottom of the basket. Bring water to a boil. Cut a head of cauliflower into small florets. Once the water is boiling, add the cauliflower and cover. Allow to steam until tender, about 15 minutes. 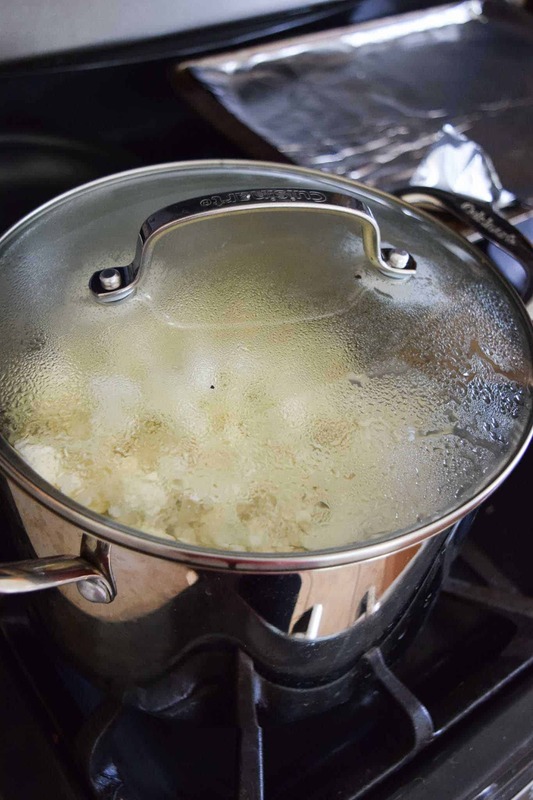 Once the cauliflower is steamed, mash with a potato masher and strain out any excess liquid. Add in sour cream, 1/2 C of the shredded cheddar cheese, dry ranch mix, garlic powder and onion powder. Mix well. 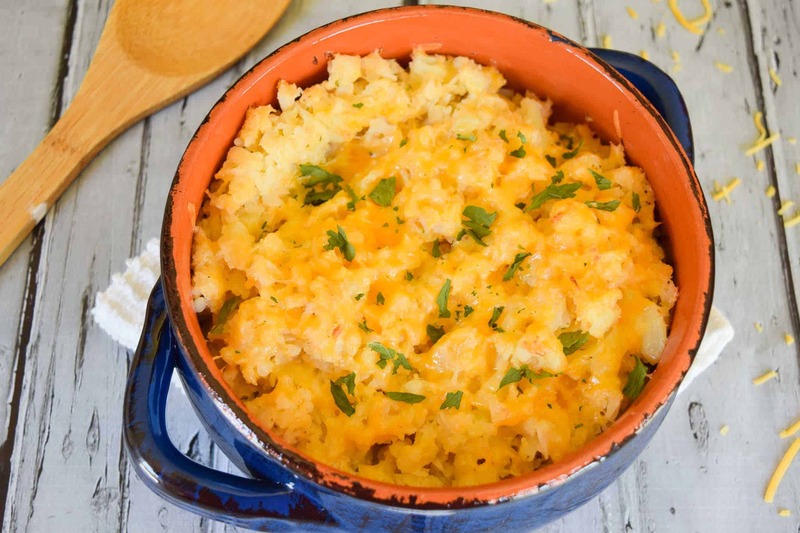 Pour into an oven safe dish and top with butter and remaining 1/4 C of cheddar cheese. What do you think? Did this recipe make the cut for you or did it crumble? What would you do differently? Leave a comment below!